For Edda Mussolini, life is good: she is young, beautiful, the daughter of the most powerful man in Italy, Benito Mussolini, and has just married the attractive Count Ciano, who will become the youngest minister in Europe, sharing all the glamour of fascist Italy with her. But she has no idea of the tragic fate that awaits them. Edda and Ciano will experience at first hand the suffering of the conflict, especially when she becomes a key factor in the negotiations with the Nazis, endangering her turbulent relationship with her husband. 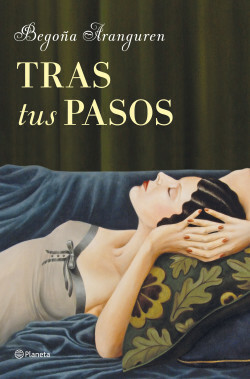 Begoña Aranguren takes two fascinating characters destined to be protagonists of one of the most difficult periods of the modern history of Europe and presents us with an exciting novel of love, betrayal, faith and courage. An extremely well-researched novel with a wealth of detail about the behind the scenes power tussles between Nazi Germany and Italian Fascism in a Europe bleeding under the yoke of dictators. An exciting tale about Edda Mussolini. A story of love, betrayal, faith and glamour during a period that would change the face of Europe forever.